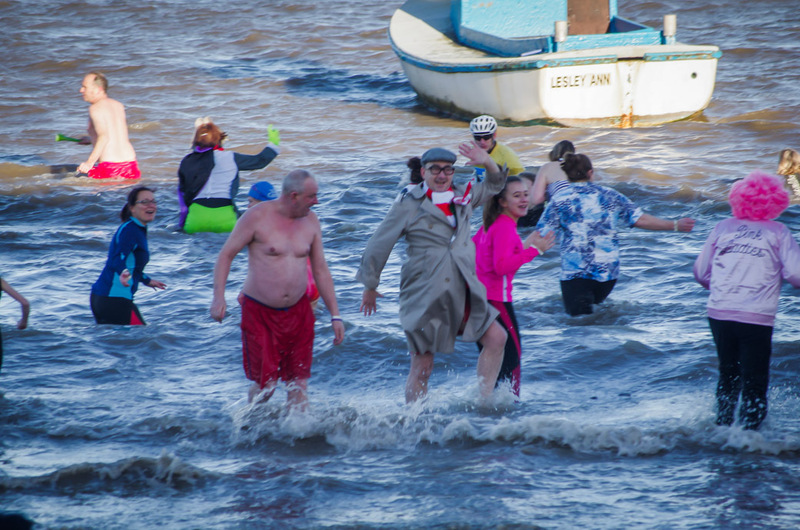 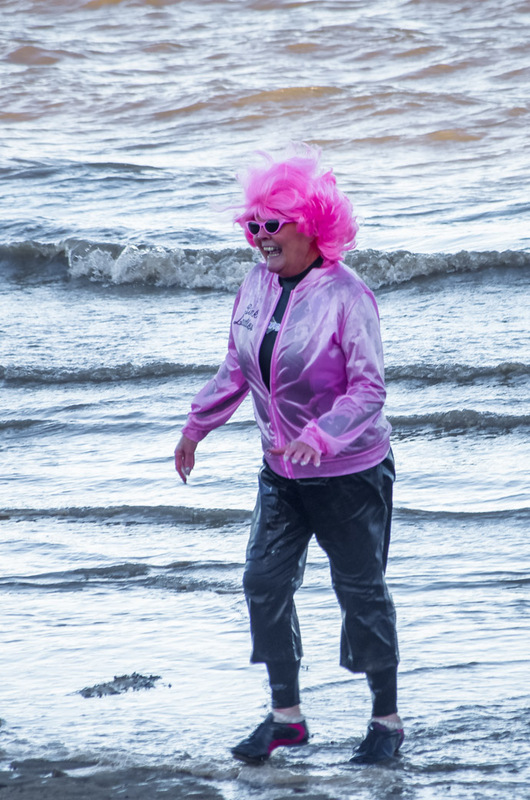 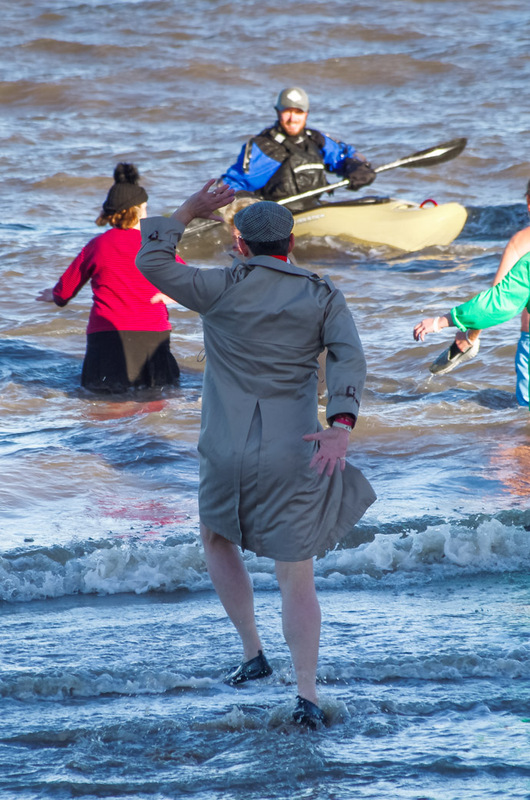 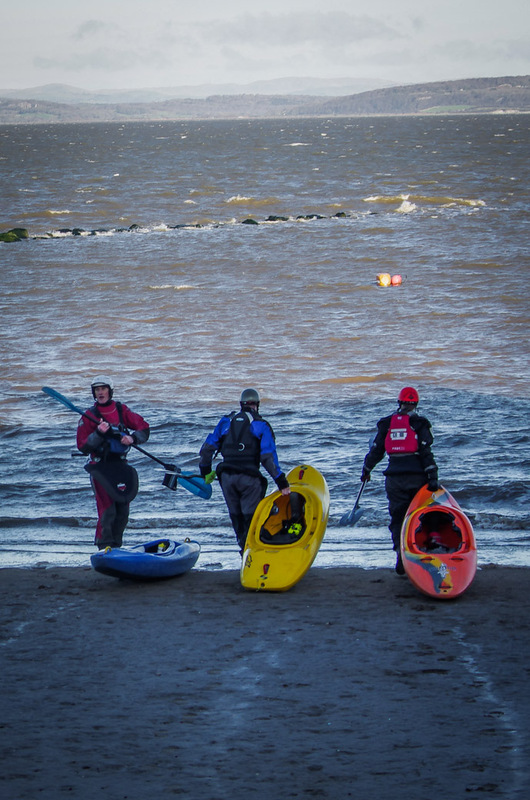 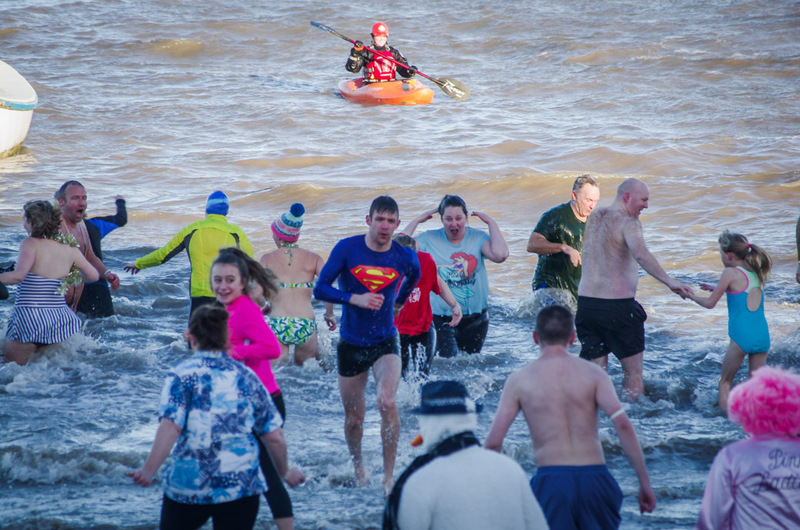 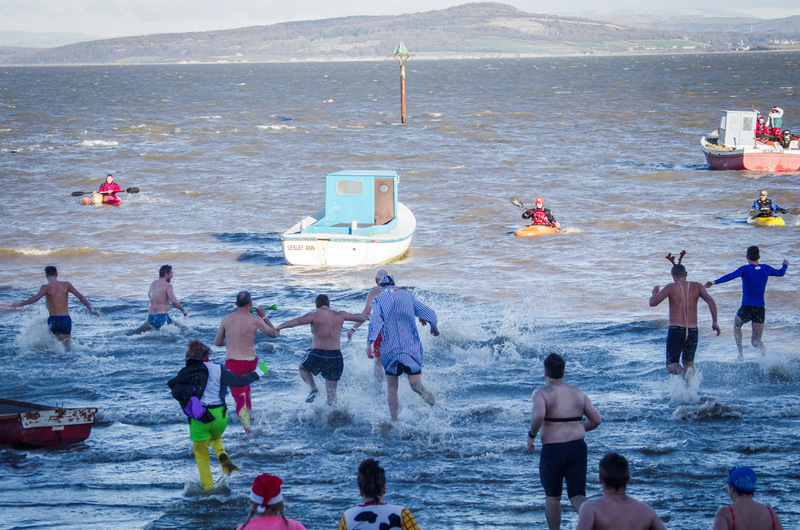 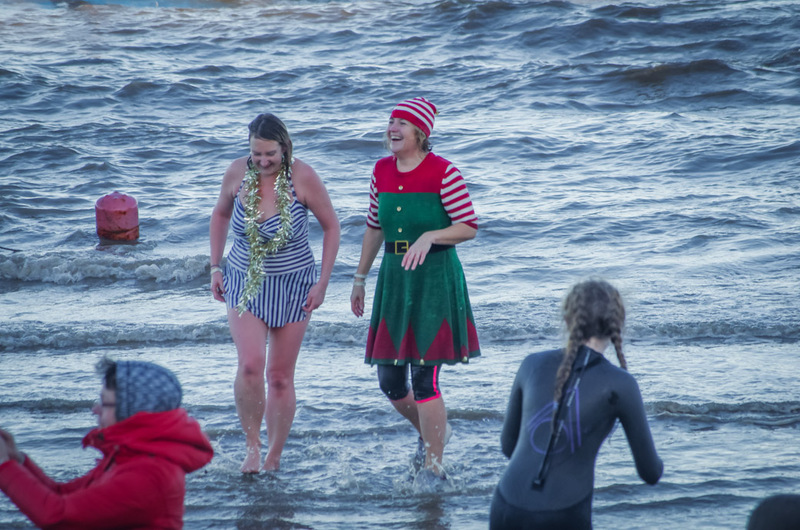 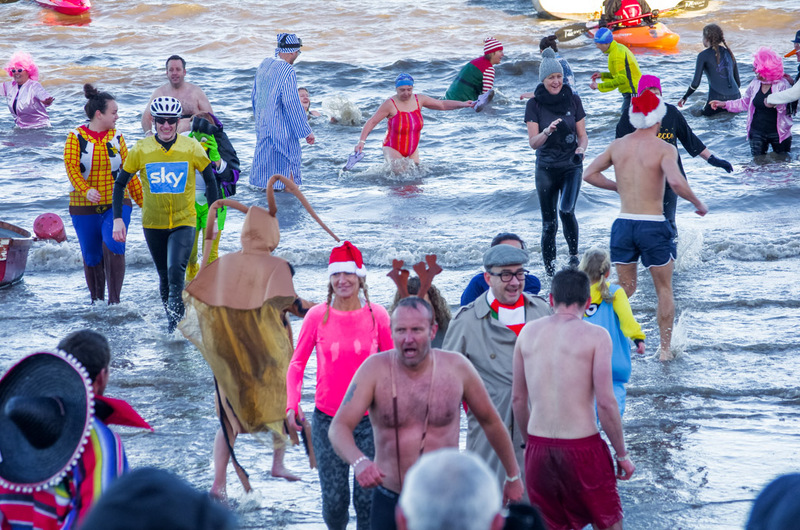 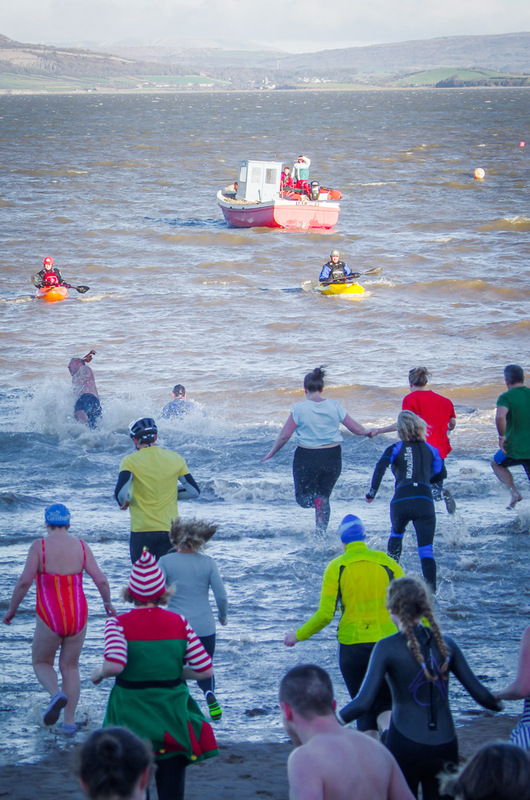 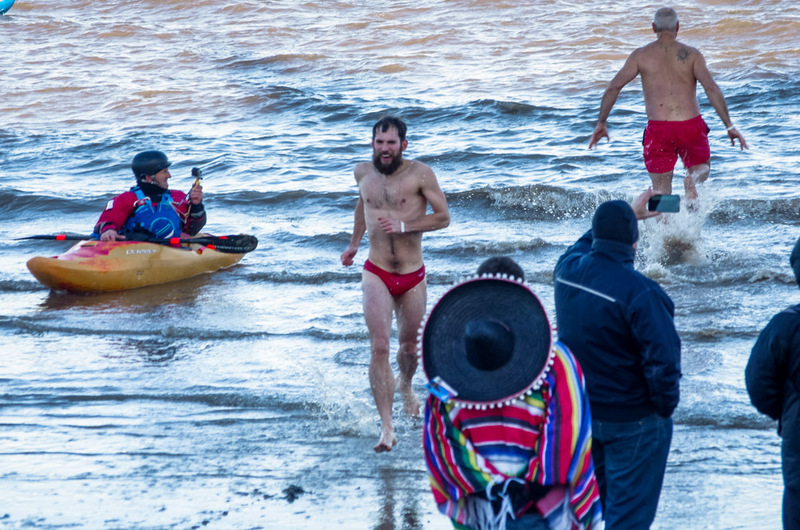 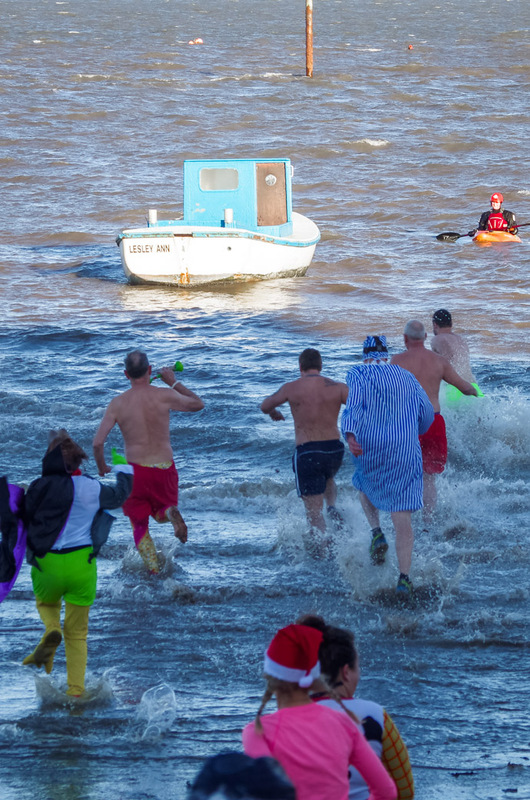 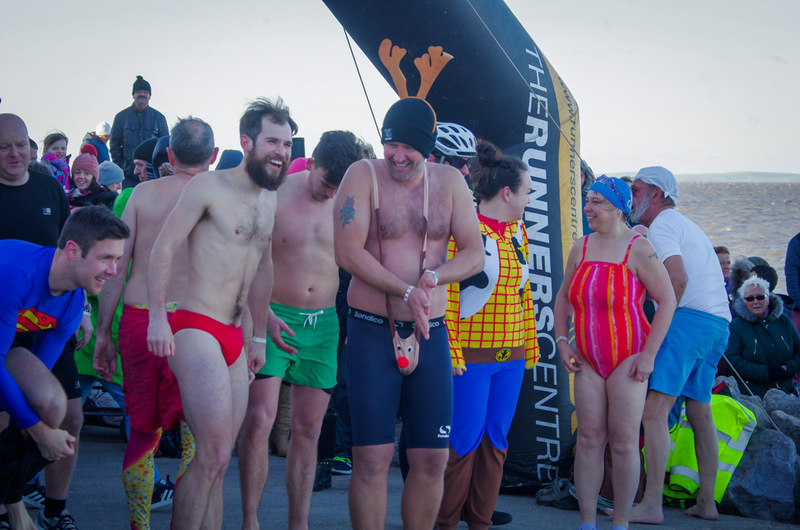 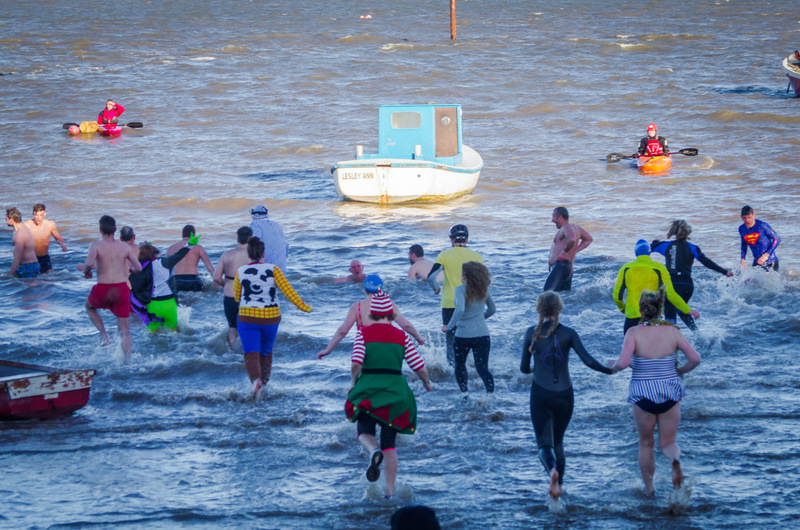 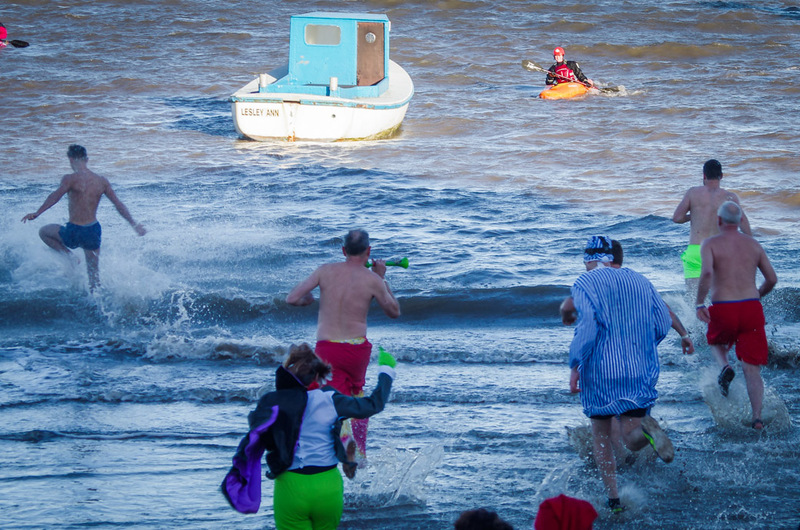 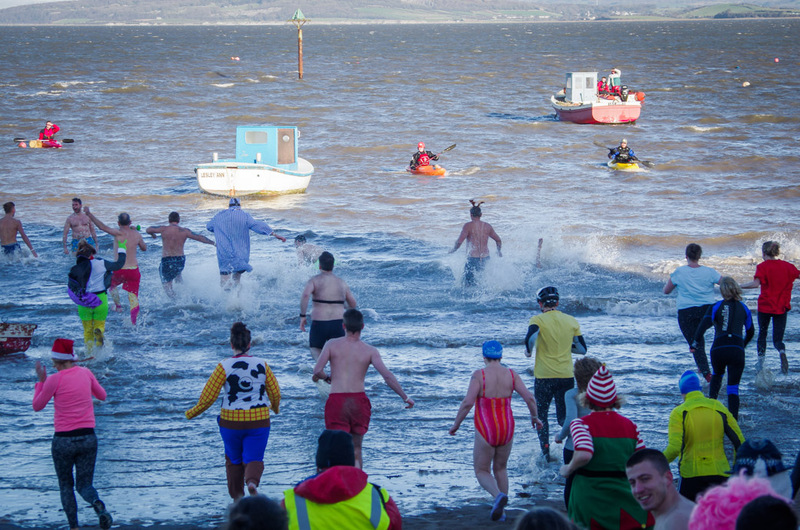 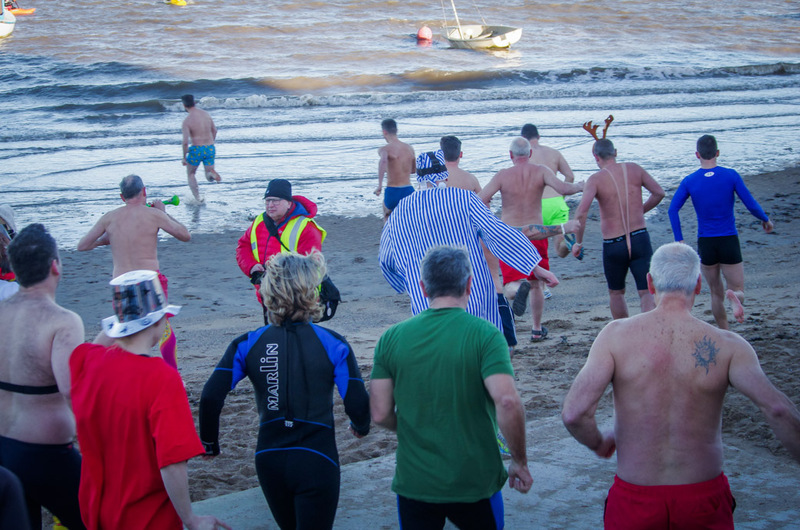 On New Year’s Day 2017, these brave souls donned costume and dashed into the icy cold waters of Morecambe Bay… and all for charity. 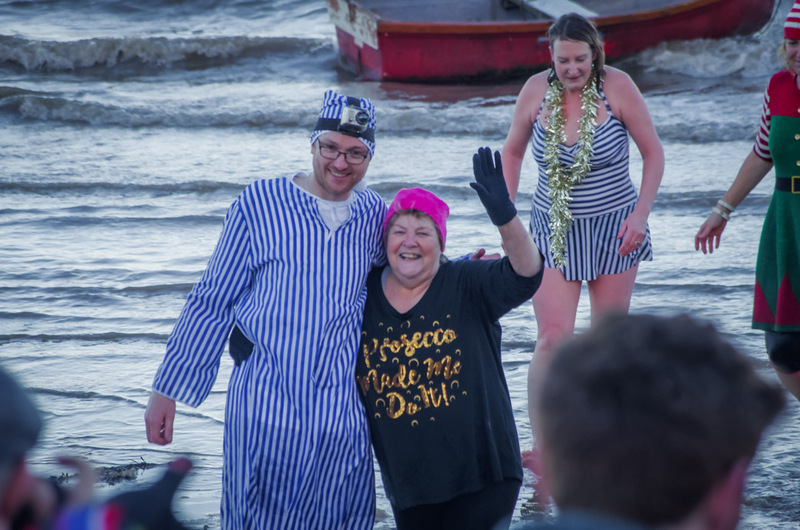 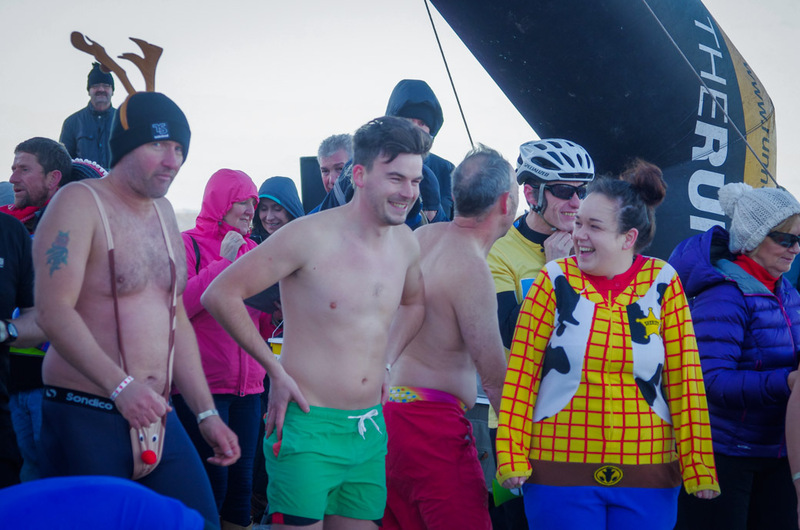 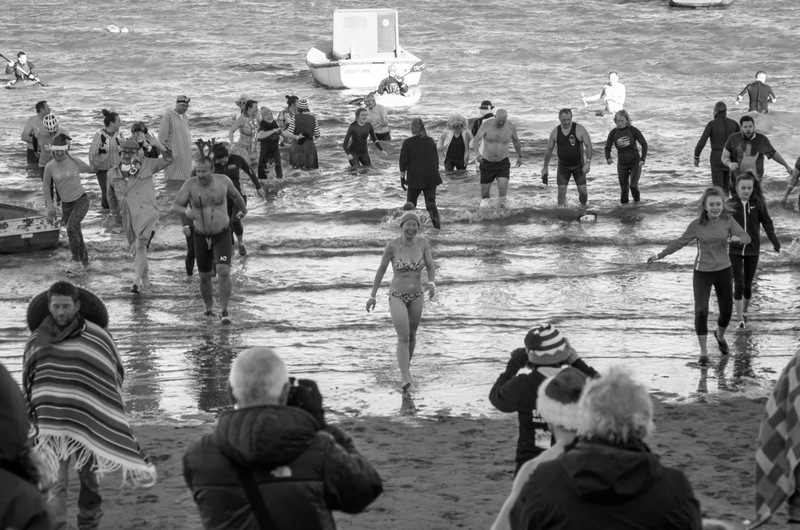 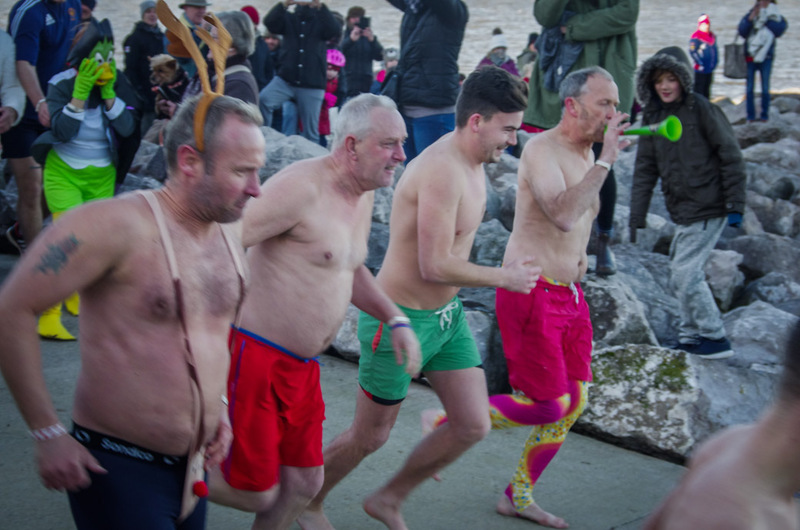 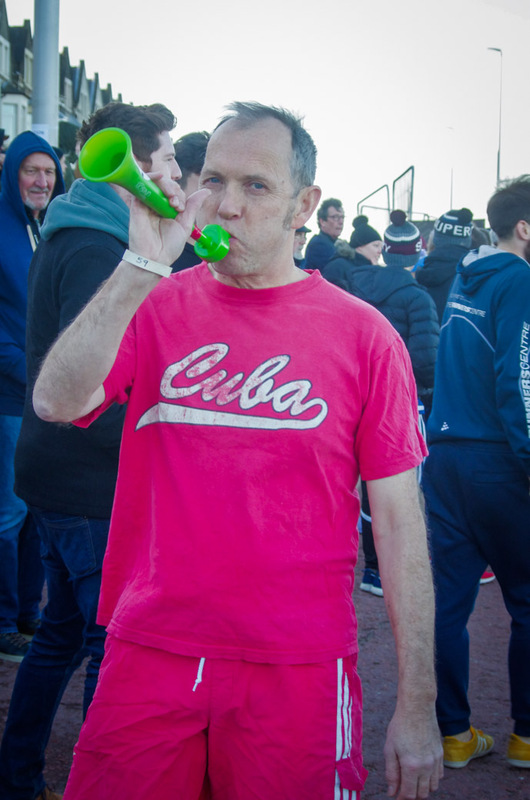 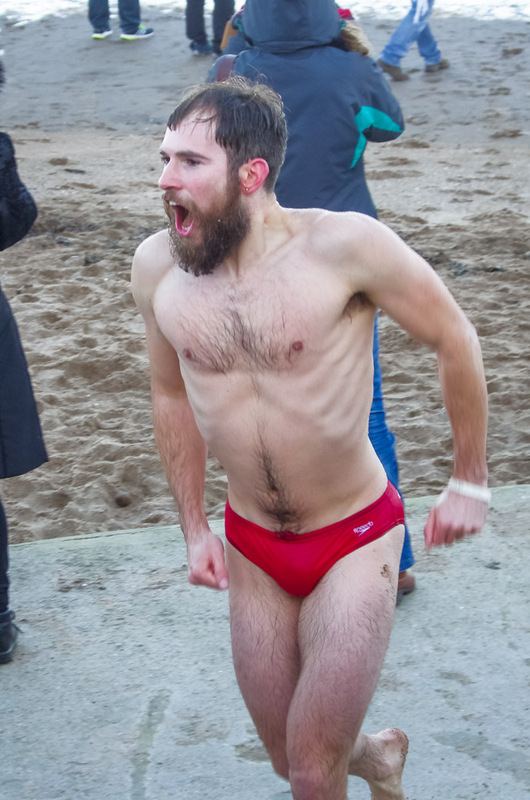 It was the annual Big Bay Dip, in aid of St. John’s Hospice, the RNLI and Morecambe Sailing Club, and I don’t mind telling you I damn near froze my hands off just waiting for these guys to go in, and I was fully dressed. 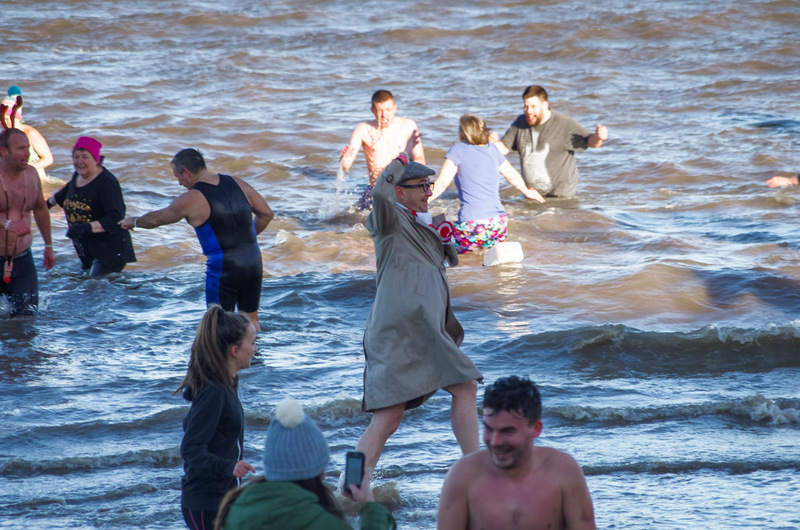 According to those in the know, the water temperature was actually 1 degree warmer than on land, and an icy dip is good for your skin and has many other benefits, but that kind of propaganda doesn’t work on me, I’m quite happy on dry land with my camera thank you! 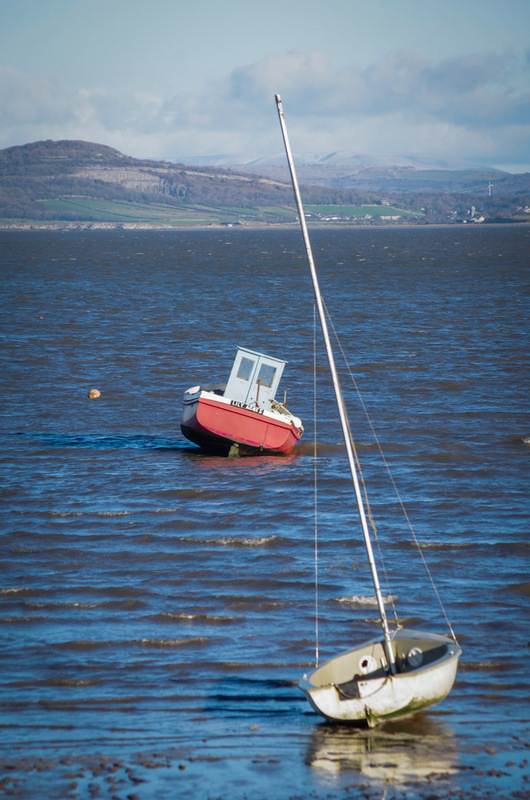 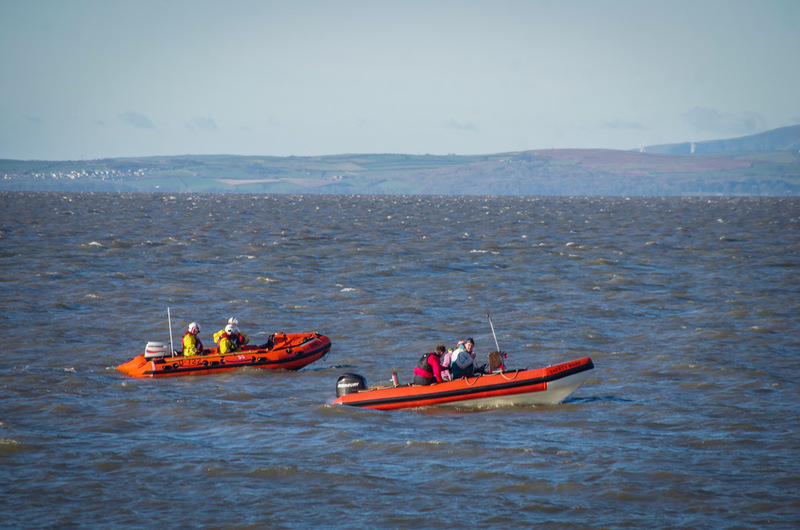 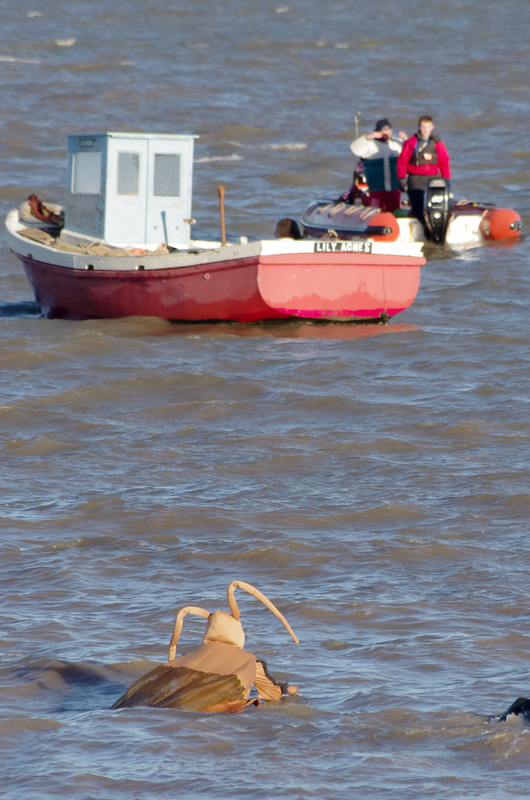 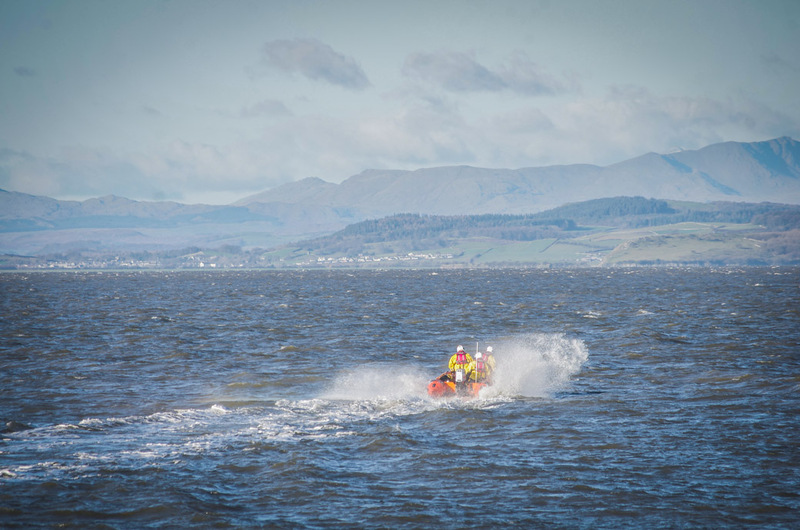 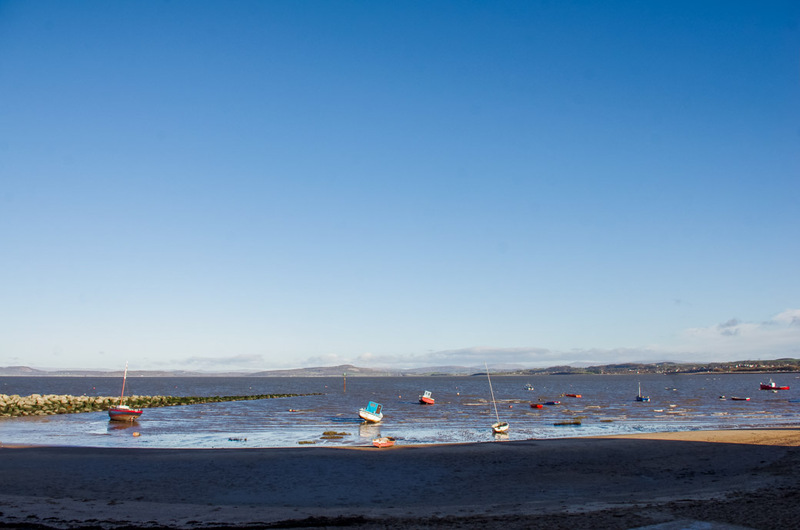 A shout out too to the good men and women of the RNLI and Morecambe Sailing Club who were on alert in case of need.